Weee! Asian groceries, delivered. 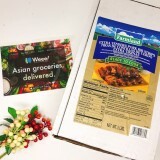 The largest online Asian supermarket in the US. Try another Zip Explore on Weee! Join 100,000+ Loyal Customers on Weee! "Finally got this! Worth the price! so much better than the ones I got in the supermarket! DEFINITELY repurchasing it!" 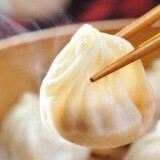 "As someone growing up in Shanghai, I can tell you guys, this is the best frozen Xiao Long Bao you can find in U.S.! Even taste better than then the ones from some of the Chinese restaurants." 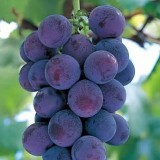 "Surprise that I can find Kyoho grapes in the U.S., it is the same as the one I usually ate in my childhood! Sweet and Juicy! Worth to try!" "Out of stock for a while! 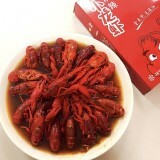 This definitely taste the same as the one I ate in China, very delicious!" 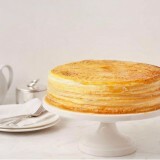 "So happy to get this popular cake without waiting in line in line. See it all the time on IG! Creamy and soft, but it’s not that sweet as the other desserts!" Try another ZipExplore on Weee!